So much of my work gets done on Apple devices lately. My processing and planning work for Cassini are done on either on the Mac Mini in my office or the one at home. I respond to emails and do light editing of articles on my iPad. My iPhone and Apple Watch help to keep me organized and up-to-date on the tasks I need to accomplish (if only I did that more often with remember to write articles for this blog). When I am working at home, I use my Apple TV to stream music and Chicago Cubs baseball games while I work. Back in March, I switched back to Apple by upgrading from a Nexus 5 to an iPhone 6. I've been quite happy with the purchase, though I do wonder how much of that was returning to iOS and how much of it was leaving the base, 16 GB tier behind and getting the 64 GB version. I also switched to a post-paid carrier, so just as 2-year contracts are finally dying here in the U.S., I signed up for one. So I am stuck with my iPhone 6 for another year and a half one way or another, so I guess I better like it. While I won't be getting either of the new iPhones, I am still excited to hear what Apple will be doing with this platform. Force Touch, the ability of the screen to detect different amounts of tapping pressure, is a nice addition, but I am most looking forward to the increase in RAM. iPhones have been stuck at 1 GB of RAM for the last couple of cycles, and while iOS itself is very RAM-efficient, some activities are aided by additional RAM. My upgrade to the iPad Air 2 last year showed this quite nicely, as Safari was sped up as much by the extra gigabyte of RAM as the new A8X process, since it didn't have to reload as often which switching tabs. Most other tasks on my iPad didn't really need the additional RAM, but that will change with the new version of iOS and the addition of better multi-tasking. Split-screen multitasking likely isn't coming to iPhone, but with the extra RAM, maybe developers will be working to push the platform once again, bringing more powerful apps that would've been hamstrung by the lack of RAM before. The new iPhones will also have higher-resolution cameras, both on the front for FaceTime and Skype calls and selfies, and on the back. I love using my iOS for taking photos, but I am a little concerned about how much space photos are taking up on my iPhone and iPad, even at their current resolution. On both, I am using up 10-13 GB of space just for storing photos and videos I've taken, and that's with space optimization turned on in iCloud Photo Library. Otherwise, I would be using up 25 GB. Not saying that Apple shouldn't increase the resolution of the cameras, but they need to consider making changes to how iCloud Photo Library works so that managing devices storage is much easier, particularly as photos and videos use up more storage space. Is it too much to ask to have a setting limiting how much on-board storage I'm willing to allocate to photos and videos? Maybe I'm just being paranoid about storage space, after all, it's supposed to adjust the amount of space it uses depending on the space available. Still, it's something I worry about. Federico Viticci is my spirit animal. I use my iPad Air 2 for far more productive tasks than most I think. I have largely replaced my laptop with it since it is far more portable, faster, and for 95% of tasks I may need to do away from my desktop(s), it is a computer I can be just as productive on. I use it with a keyboard, but not an attached one. I feel that having an attached keyboard, whether it's part of an iPad case or it's on a laptop, make it too clunky no matter how thin you make it (looking at you, MacBook One). It's a great little device. So it pains me a bit to say that I won't be getting the new iPad Pro. With a screen size of 12.9 inches, it is just way too big for me to have it as a constant companion. Sure, the increased size will likely mean it will have a faster processor and more battery capacity than the Air series could ever have. The iPhone 6 Plus had many of the same advantages over the smaller 6, but the extra size just made it less portable and thus less convenient to carry around everywhere. I feel I would have the same problem with the iPad Pro. There's also the question of cost, which is more of a mystery at the moment, but almost certainly the configuration I would want (128 GB with a cellular option) would be close to $1000 if not more. The same configuration in the Air line of iPads costs $829, and that's already pushing what I'm willing to spend. So what will I get out of the iPad Pro announcement? I am curious to see if the accessories for the Pro will work with my Air 2. Mark Gurman reports on 9to5Mac that the Force Touch stylus and a new Apple keyboard will be sold separately. I would be interested to hear if the stylus works with the Air 2. Not that I would do too much handwritten note taking either way. I can barely read my handwriting. And I have tried more styli than I care to admit on my iPad, and they all ultimately ended up in my Drawer of Misfit Tech. We'll have to see what an Apple stylus can do with official software support compared to all the third-party predecessors. The keyboard I use now with my iPad is the Logitech K480 Multi-Device Keyboard. It's a solid device and definitely the most comfortable bluetooth keyboard I've ever used, but I sometimes can't get past how clunky it is. It looks and feels like a Fischer Price keyboard. So I would be curious to see what Apple comes up with for their new keyboard. Again, will it be iPad Pro-only? Considering how I use my device, and my very poor handwriting skills, a new, lighter keyboard that manages to be just as comfortable to type on would be more welcome than yet another stylus. I am also looking forward to seeing what software third-party developers come up with for the iPad Pro, which again, I hope make their way to the Air 2. For tomorrow's event, I do expect to see one or two games demoed, but seeing that Apple is marketing this device toward professional users, I think we'll see more productivity and creative apps. I think one demo we'll see is the new version of Photoshop for iOS. Adobe pulled their previous attempt at porting Photoshop to iOS, Photoshop Touch, from the App Store earlier this year. Photoshop Touch was a half-hearted attempt to bring more professional photo editing to a touch screen, something that apps like Pixelmator have done a better job at over the last year. However, Adobe has promised to jump back into this space this fall so the Apple Event tomorrow would be a great place to show it off, on a device that sounds like it was made for it. So while the iPad Pro looks like a great device for me, I won't be buying one. It's just too big to be mobile and too expensive. But I look forward to see how Apple will be pushing the platform to something where people can be more productive, rather than just another screen to watch Netflix on. I think that's the perception most people have of tablets, and it's a perception that is causing iPad sales to decrease ("Who needs another screen to watch Youtube on when the iPhone does that just fine"). I hope the increased emphasis on productivity along with engineering that makes that easier will translate to more fully-functional apps developed for the iPad. Of course, all this presumes an iPad Pro is announced tomorrow, which isn't a given. The one device I will almost certainly buy of those announced tomorrow will be the Apple TV. I have a third-generation Apple TV, which came out in 2012. 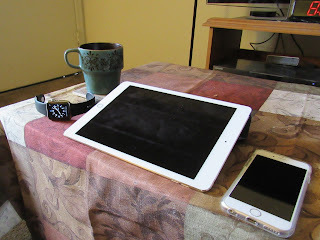 While I use it everyday for streaming video and Airplaying content from my iPad, it's internals are getting long in the tooth, and other devices like the Amazon Echo and the new Roku 3 are surpassing it thanks to voice recognition and universal search. Both of those are expected to be major new features of the new Apple TV along with an App Store for more video sources and games and better internals, including an A8 SoC and 16 to 32 GB of storage space. With the additional of the app store, more video sources will be possible. Right now, Apple TV content comes from either the iTunes store or from a variety of "channels" that are baked into the OS. This requires networks or streaming services to work with Apple more intimately to get their content on the device. Some services, like Sling TV and Amazon Instant Video, aren't on the Apple TV for one reason or another and I expect that with the addition of an App Store, these will finally show up. That way I won't have to keep switching to the Roku to watching anything on Amazon Instant Video. The App Store, along with a controller (sold separately), will also help transform the Apple TV into a low-cost gaming console. While iOS has long been known for smaller, casual games often riddled with horrific, in-app purchases, there are premium gems in the app store, but they are becoming fewer and farther in-between. For every Final Fantasy VII, Transistor, or KotOR, there are a bazillion freemium games like Candy Crush and Clash of Clans. While Apple TV's internals will not be as powerful as the Xbox One or Playstation 4, having one box to develop for and a platform that encourages longer and more dedicated game interactions will help to convince game developers to produce more premium experiences on the platform and squeeze every drop of performance from the A8. I'm hopeful that the games developed for the Apple TV also make their way to the iPad. The fact that Apple TV runs on a modified version of iOS should help in that regard, making it easy to produce a game for both the TV and iPad. Having voice recognition will be great as well, making searching for content faster (have you ever tried to do a search with just the remote) and helping to turn the Apple TV more of a hub for the home. I look forward to the day where I can tell Siri to "Crash the Compound" as Rene Ritchie liked to put it, and all my lights would turn off as I get ready for bed. So thanks to everyone for getting all the way to the end of this. This isn't my normal topic for this blog, but I really wanted to get my admittedly disjointed thoughts on tomorrow's Apple event out and this was really the only platform I have for this much content. Maybe at some point I will make a separate space for me to get my personal musings out on the Intertubes. I'll see about posting a follow-up tomorrow. The deadline for NASA's Discovery proposals was this week. 28 proposals were submitted with targets ranging from Phobos and Deimos, to Venus, to asteroids like metallic 16 Psyche, and even Enceladus. Of course, the one that Ionians will be pulling for is the Io Volcano Observer (IVO), proposed by a team led by the University of Arizona's Alfred McEwen and managed by John Hopkins' Applied Physics Lab, which is making its second go around after also being submitted for the 2010 Discovery Announcement of Opportunity (AO). The Martian lander, InSight, was ultimately chosen after that AO over a great set of proposed missions, which included a boat that would've sailed around Titan's great Kraken Mare. IVO, if selected this time around, would launch in late May 2021 with an arrival at Jupiter in February 2026 after a 510 km altitude flyby of Io. 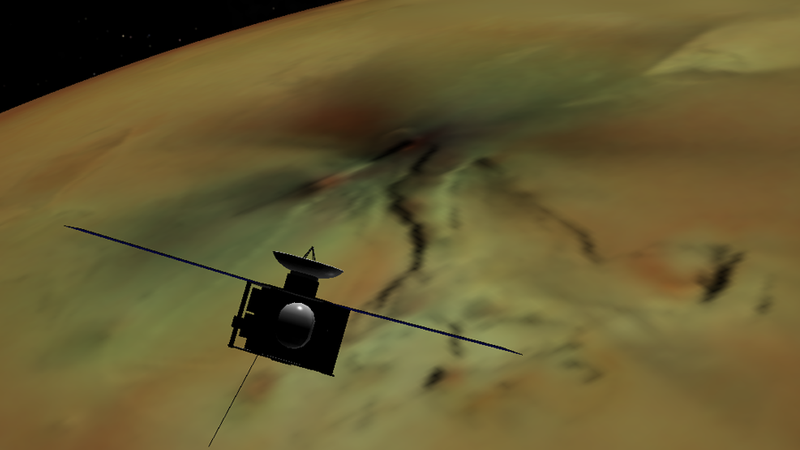 IVO would remain in an elliptical, inclined orbit around Jupiter, flying by Io eight more times during the nominal mission between August 2026 and late December 2027. An extended mission with nearly year-long orbits is possible, providing high-resolution, imaging coverage of Io's leading hemisphere in daylight as well as collaboration with the JUICE spacecraft. Unlike the 2010 proposal, this year's would make use of advanced, roll-out solar panels to power the probe and its five instruments, instead of the Advanced Sterling Radioisotope Generators that are unavailable to proposal teams this time around. These instruments include: two cameras, one narrow-angle and the other wide-angle (NAC and WAC); a Thermal Mapper (TMAP); Dual Fluxgate Magnetometers (DMAG); and a suite of particle instruments (PEPI), which includes an ion and neutral mass spectrometer (INMS) and a Plasma Ion Analyzer (PIA). There is also the potential for an add-on, student collaboration instrument, a wide-angle, near-infrared camera named HOTMAP. While the WAC, PEPI, and HOTMAP will be bolted to the spacecraft, the NAC and TMAP will be on a ± 90° pivot, allowing for off-nadir pointing of those instruments without turning the entire spacecraft. 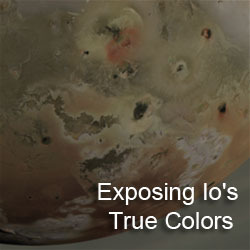 The mission's main goals include mapping Io's active volcanism on a more global scale than Galileo and Voyager were able to obtain, measuring Io's induced magnetic field at different points in its orbit around Jupiter to provide a better estimate for the thickness, distribution, and melt percentage of its magma ocean, mapping Io's topography including its numerous mountains, and measuring the composition of the volcanic gases that are released from Io's interior. During two of its flybys (I0 and I2), IVO will acquire gravity science using 2-Way Doppler tracking, which combined with the gravity data acquired during a few of Galileo's encounters with Io, will constrain our knowledge of mantle rigidity. The mission will also act as a technology demonstration for Deep Space Optical Communications, which could substantial increase the data return of future missions. On each orbit, IVO will spend a week acquiring images of Io, allowing it to map Io so changes at its many volcanoes can be observed and to monitor hot spots and auroral emissions during four different eclipses. IVO would also use this time to help look for Europa's elusive plumes in support of Europa Clipper, which should arrive at Jupiter shortly after IVO. During the 24 hours around closest approach, while IVO approaches and departs from Io over its polar regions, IVO will acquire several NAC mosaics of Io along with TMAP images to map heat flow and monitor volcanism. 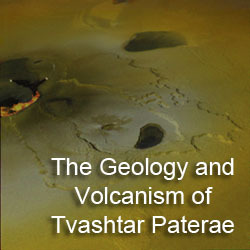 The NAC will also be used to acquire movies of active plumes like Pele and Marduk. Finally, right at closest approach, the spacecraft will acquire WAC, NAC, TMAP, and maybe HOTMAP imaging swaths along with INMS mass spectra and DMAG/PIA measurements as IVO sweeps north across Io. At least 20 Gb of data (100x the Io data returned by Galileo) would be acquired during each encounter and will be played back during the apojove part of each orbit (distant monitoring observations will also be acquired to help watch for new major eruptions). More information about this exciting mission can be found in an abstract submitted to next month's Lunar and Planetary Sciences Conference. 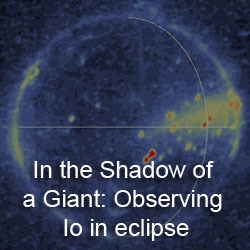 A fact sheet with even more details about Io Volcano Observer is also available. NASA expects to select three (or so) finalists for Phase A studies in September with a final selection from those sometime next year. 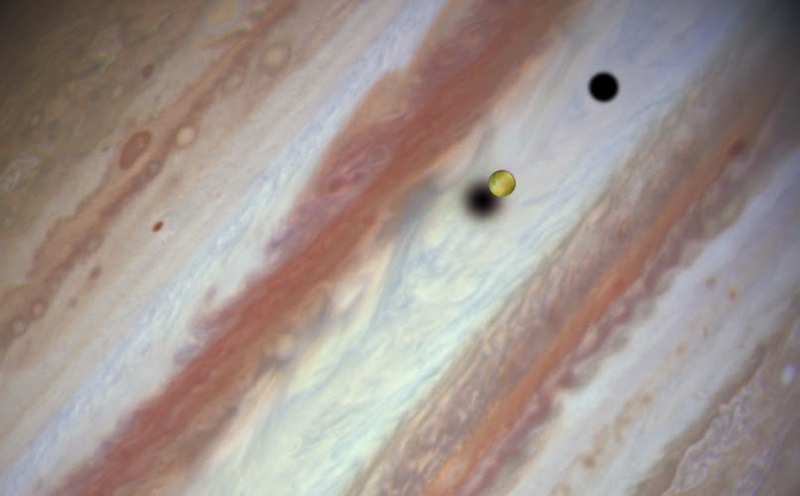 Yesterday, the Space Telescope Institute released a set of images as well as a movie of Jupiter acquired during a rare triple moon-shadow transit on January 24. During the event, Io, Europa, and Callisto aligned so that the three moons and their shadows appeared to move across the face of Jupiter. The next such triple-event won't take place until 2025. The Hubble images were even sharp enough to spot some of Io and Callisto's large scale albedo markings (like the flow field around Io's Isum Patera or the bright patch in the middle of Callisto's Asgard impact basin). With a keen eye, you can even spot the small inner moons, Amalthea and Thebe, and their shadows as two pairs of faint dark spots passing between Io and Callisto against the bright equatorial zone. The difference in the crispness of the moons' shadows results from their different distances from Jupiter. Io is much closer to Jupiter than Callisto, so when it easily eclipses the Sun when it passes in front of it in Jupiter's sky. Callisto is farther away, so it appears to be closer in size to the Sun so there is a more narrow zone where it completely eclipses it (the umbra) and a wider zone where only a partial eclipse occurs (the penumbra), similar to solar eclipses on the Earth. Opposition for Jupiter is today, and now that the moon is moving further away from Jupiter in the night sky, this is a great time to observe it and its Galilean satellites. Great ground-based images are showing up, including these sets taken by Anthony Wesley and Christopher Go. Has it really been four years since I last updated this blog? It's hard for me to believe, but yes, it has been quite a while. As I mentioned in that last post, the blog really started to mess with my work/life balance quite a bit when I started doing the "Io Volcano of the Week" feature. It was a neat idea for generating fresh content for this site, but I ended up spending a ridiculous amount of time on those posts, to the detriment of the rest of my free time. I think with Discovery proposal season wrapping up and all the warm, over-optimistic feels that generates, I think now is a good time to revive The Gish Bar Times blog, but I really want to go back to focusing on new papers, missions, and data rather than trying to generate a lot of fresh content that took up way to much of my free time and quickly left me worn out. I think I had this feeling that I always had to come up with more posts when honestly, the focus of this blog is not generating much news right now, and that's okay. That being said, I do have a long backlog of papers that I haven't discussed here in the last four years, so I should run out of things to talk about here for a while. My favorite part about doing this blog is that it really forced me to read the current literature and writing articles about them really helped to reinforce what I read. In the meantime, I wanted to point out this neat site which presents planetary maps for children, including Io, Europa, Mars, Venus, and Titan. 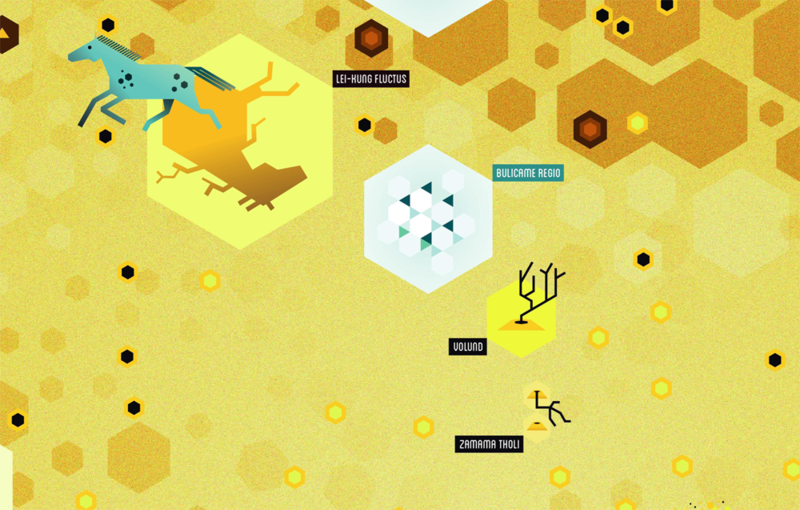 The maps were created by a group of graphic artists for the ICA Commission on Planetary Cartography. The Io map (a portion of which is shown at the top of the post) was created by Dóri Sirály. I kinda wish the Titan map had more of a medieval map art style (like I keep saying I want to make myself...) but I think these are all well done.